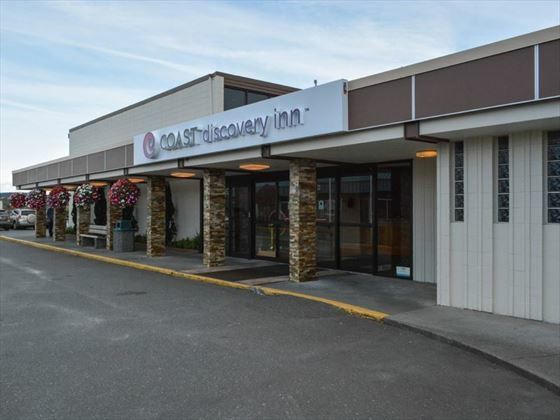 The Coast Discovery Inn is set in the heart of Campbell River, a gorgeous coastal city located at the south end of Discovery Passage, along the picturesque east coast of Vancouver Island. This charming property offers stunning views, and is in the perfect location to explore the city’s cosy boutiques and sublime entertainment district, which are just minutes away. 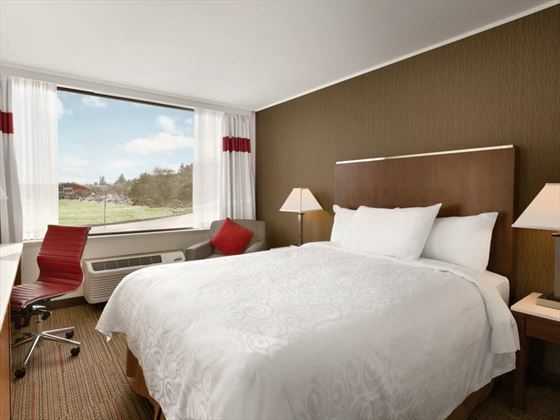 The hotel features modern, stylish guest rooms with complimentary Wi-Fi, plush furnishings, incredible views and bright, airy décor. 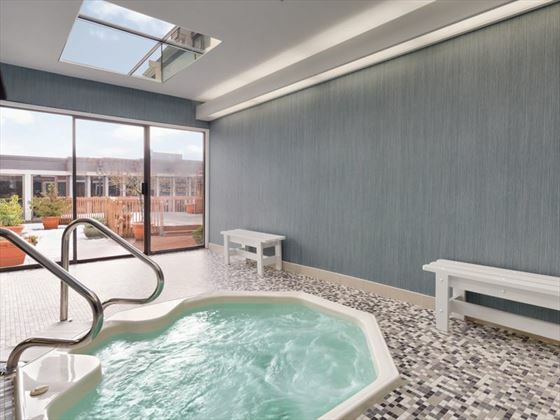 Your stay here will be complete with delicious complimentary breakfasts, a fully-equipped, modern gym and a blissful whirlpool spa tub to unwind. Here, you’ll have the opportunity to fully embrace the spirit of Campbell River. Enjoy a seaside stroll on Discovery Pier, where you may see salmon, eagles and even whales. 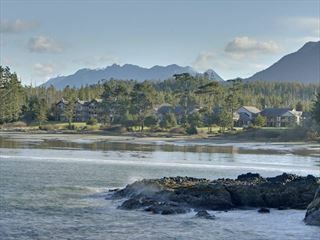 Admire the views of Discovery Passage, Quadra Island and the rugged mountain range of British Columbia in the distance. We recommend the beautiful Canyon View Trail, which guides you through the banks of the Campbell River, with a highlight including an 80-foot suspension walkway which spans the canyon and offers unforgettable vistas of the pristine waters, white-water rapids and spawning salmon below. There is also a plethora of fishing opportunities, local farmers markets, golf courses, whale watching tours, incredible hikes and more. 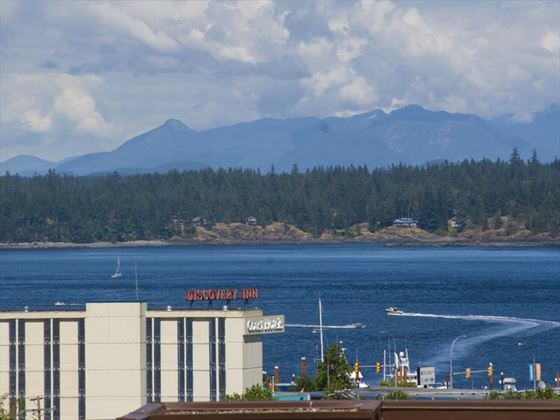 The hotel is set in the centre of Campbell River, located to the east of Vancouver Island in British Columbia. This fantastic location is ideal for those looking to spend some time exploring the city’s highlights, whilst being able to immerse in the region’s abundant wildlife and spectacular landscapes. 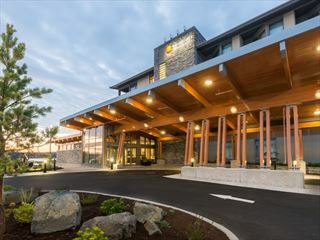 The hotel is a 12-minute drive away from Campbell River Airport. 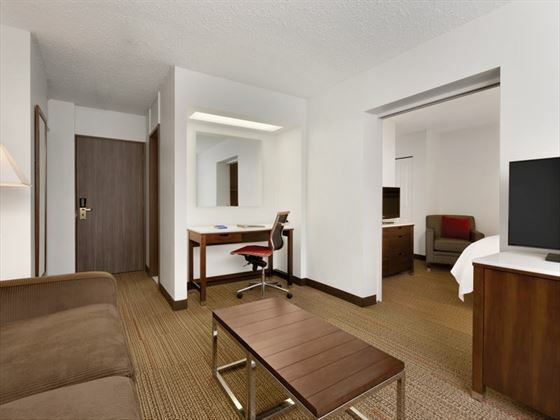 Stylishly-appointed and spacious, these welcoming rooms offer modern décor and comfortable furnishings. This room accommodates up to four guests. 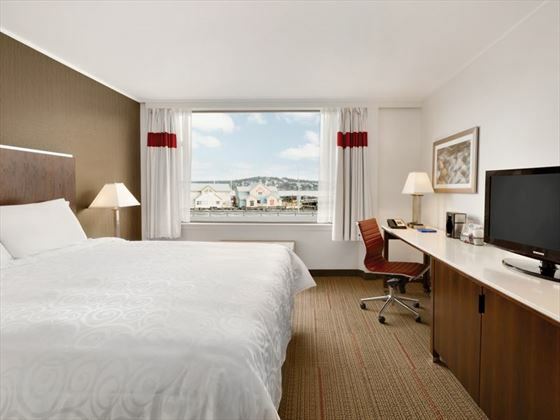 These lovely, newly renovated rooms offer a heightened level of amenities, with gorgeous contemporary décor and fantastic views from an oversized window area. This room accommodates up to two guests. These rooms feature spectacular ocean views, ideal for those who are looking to admire sublime sunset and sunrise vistas. 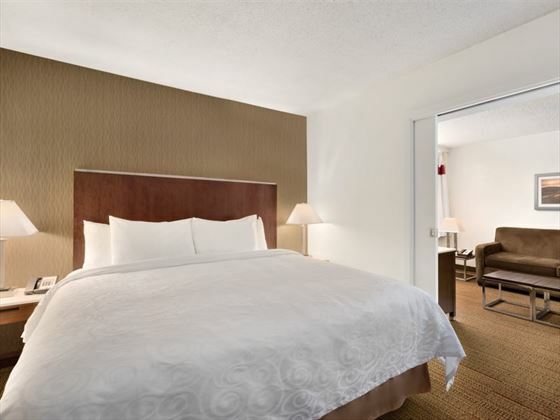 The rooms also offer plush, modern décor and upgraded amenities to enjoy. Accommodates up to four guests. These rooms feature a heightened level of luxury, offering sublime ocean views, pampering amenities and a soothing atmosphere. Accommodates up to four guests. Similar to the Double Queen Premium Room, these wonderful rooms offer luxurious amenities, beautiful furnishings and spectacular vistas over the glistening ocean horizon. This room accommodates up to two guests. 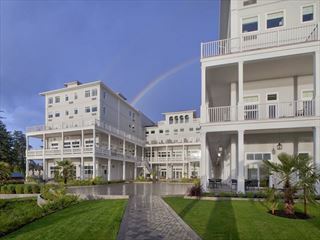 Recently refurbished, these gorgeous suites offer an abundant level of luxury living space, breath-taking ocean vistas and plush, pampering amenities. These suites accommodate up to two guests. The property’s most luxurious accommodation option, these lavish suites offer incredibly pampering amenities, alongside stunning décor and picturesque ocean vistas. Accommodates up to two guests. This gorgeous restaurant features contemporary décor and a peaceful ambience. Serving unique dishes each day of the week, the delightful cuisine will always excite your taste buds. The lounge is also a great spot to relax and enjoy the tempting happy hour deals and other delicious beverages. In the morning, the hotel serves up a delicious selection of complimentary hot and cold breakfast buffet options in a warm and friendly atmosphere.